Food is an integral component of how and why humans connect to nature. In relation to increasing forces such as globalization, urbanization and industrialization, a widening disconnect has been developing between us and nature, and the quality and availability of food has suffered because of that. 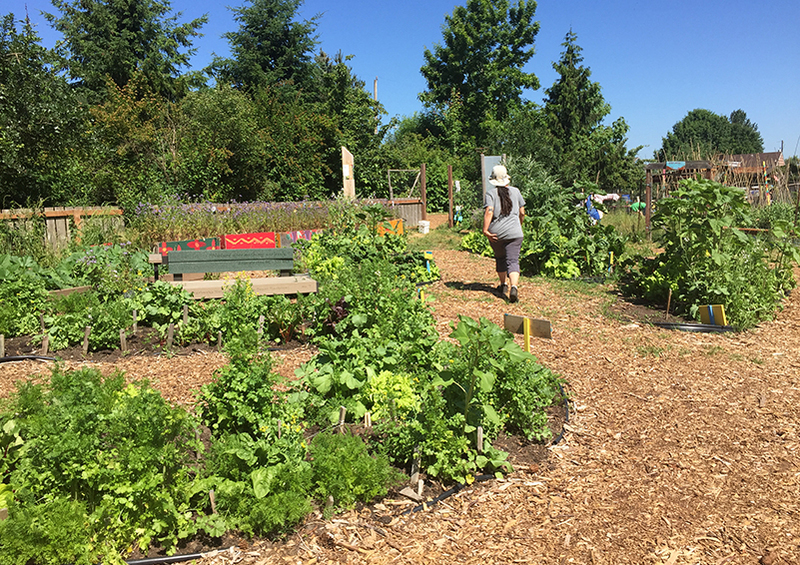 Marra Farm, a four-acre historic urban farm in South Park, Seattle, is one local antidote to this disconnect. Operated by the Marra Farm Coalition, the Farm produces over 13,000 lbs of organic produce a year, providing residents of the South Park community with a vital source of healthy food. Solid Ground is a long-time Coalition member, maintaining a Giving Garden at Marra Farm, and connecting students and community members to nutrition education and environmentally sustainable gardening resources. Isabel Carrera Zamanillo is a current doctoral student at the University of Washington pursuing a PhD in Environmental Sciences. 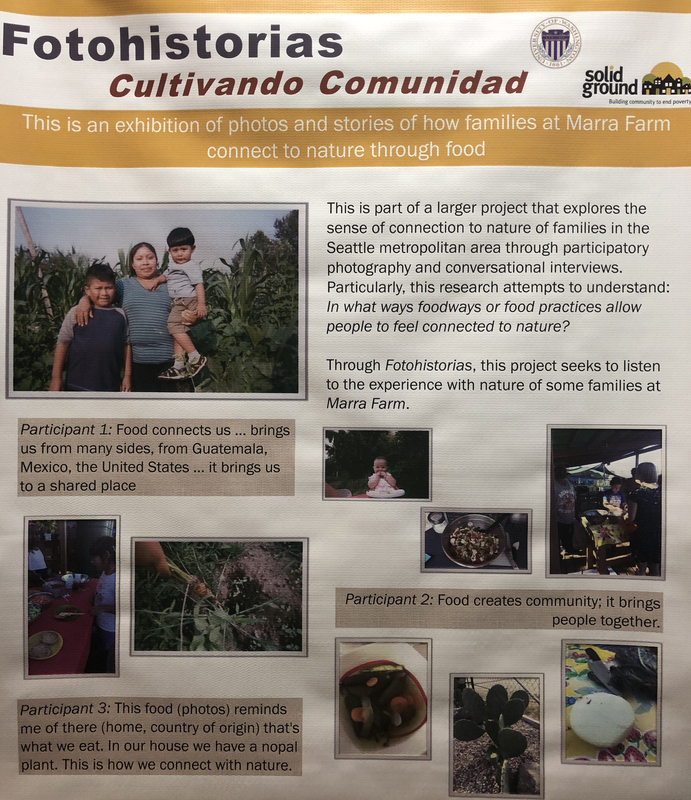 She has already earned her BS in Biology and MS in Biological Sciences, and recently finished working on Fotohistorias – an exhibition of photos and stories detailing how families at Marra Farm connect to nature through food. She believes that Marra Farm really connects with her work at the University of Washington because it provides fresh, organic food for a lot of people who are in an urban food desert – a place where healthy options are very sparse or very expensive. Isabel states that understanding what humans call nature, and looking at our interaction with it, were two of the passions that led her to working on the Fotohistorias project. It was experiences in her hometown of Mexico City – where both traditional and affordable local fresh food is available – that were significant in developing those passions however. Additionally, as someone who immigrated to Seattle, she is particularly focused on how migration might affect the humans and nature connection too. The changing dynamics of food access and, in a larger sense, personal connection to the natural environment are other major issues that Isabel hopes her project touches on. She believes that society as a whole needs to focus more on how different groups of people each have their own connection to nature, and that sometimes, general terms and phrases like “going green” or “sustainability” can blanket and generalize them.